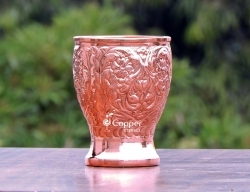 Made from pure copper and steel. 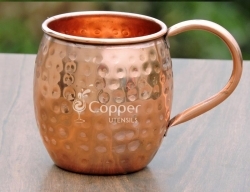 Perfect for drinking all types of beverages. 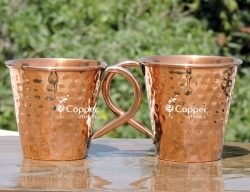 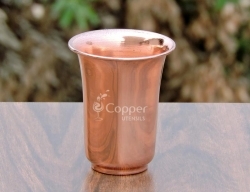 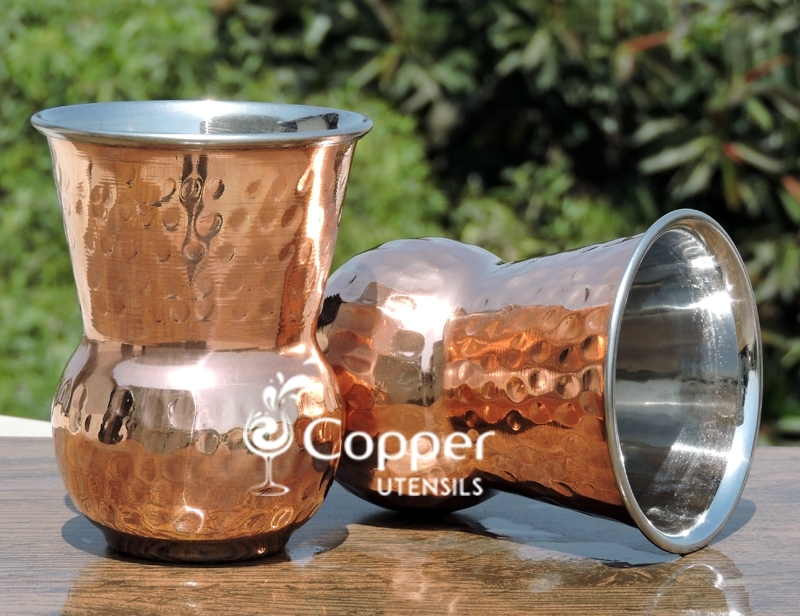 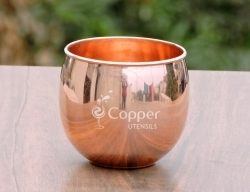 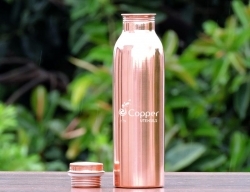 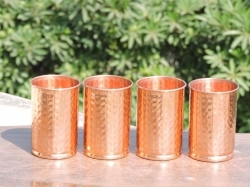 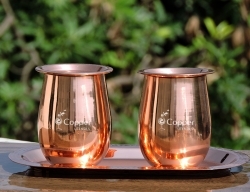 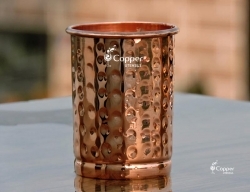 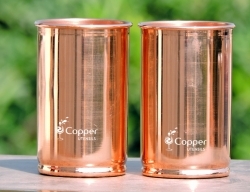 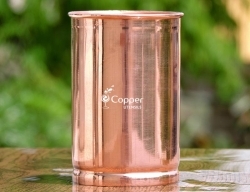 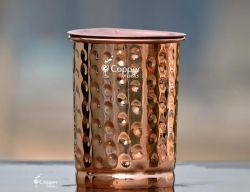 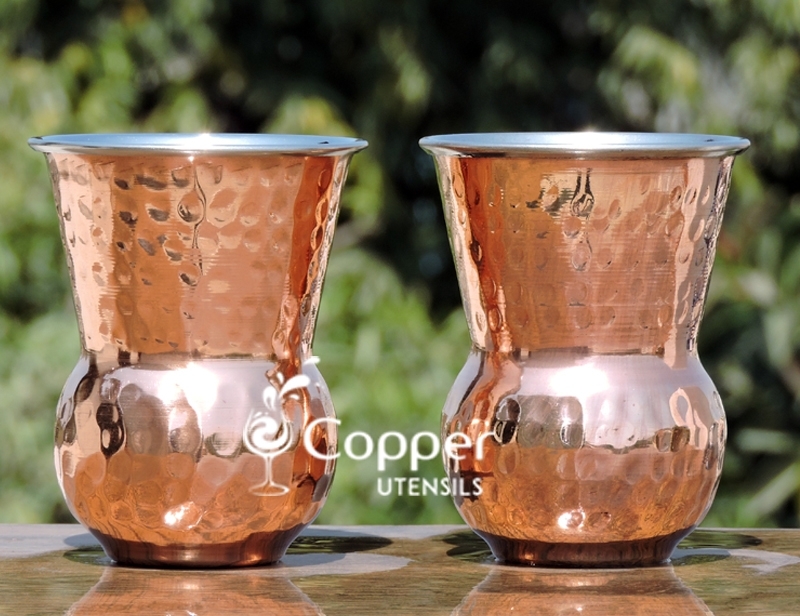 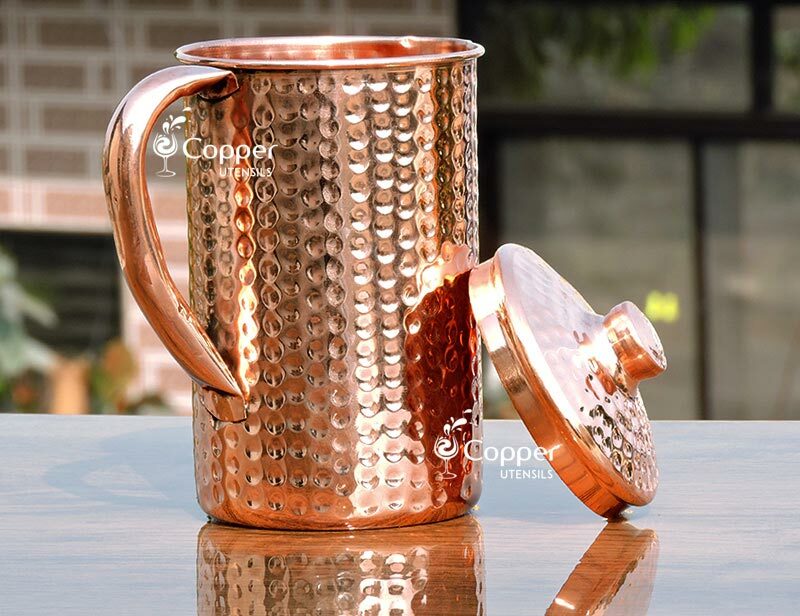 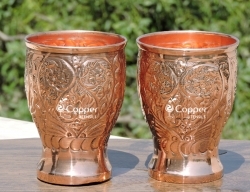 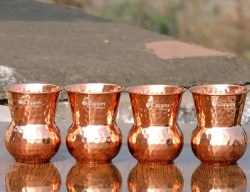 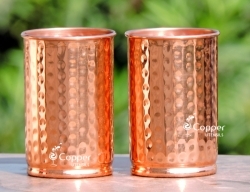 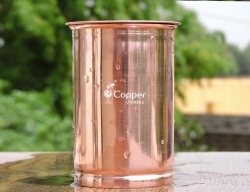 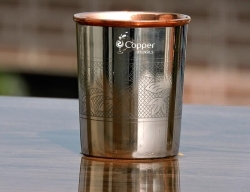 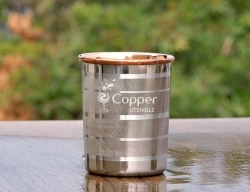 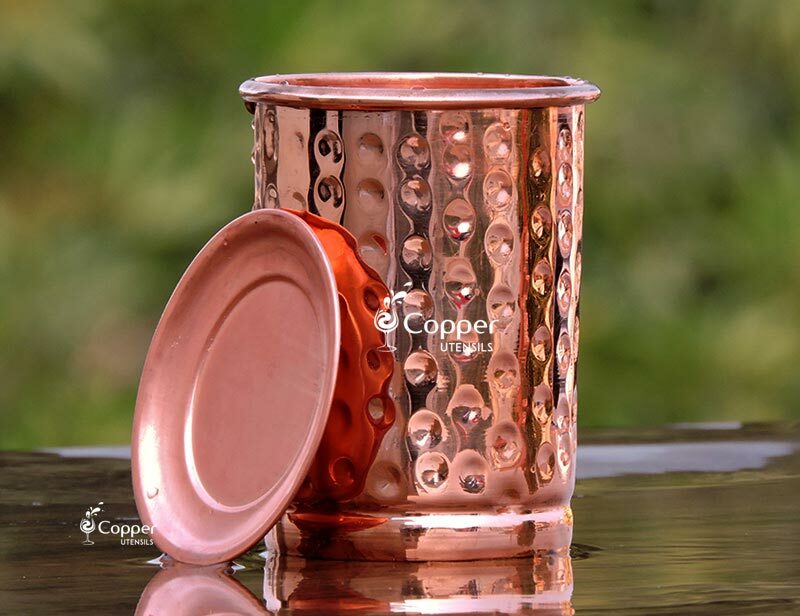 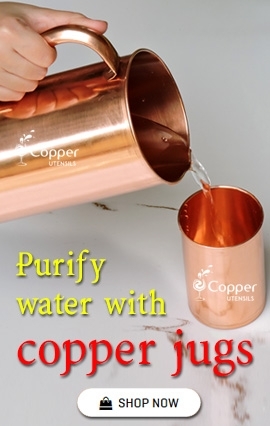 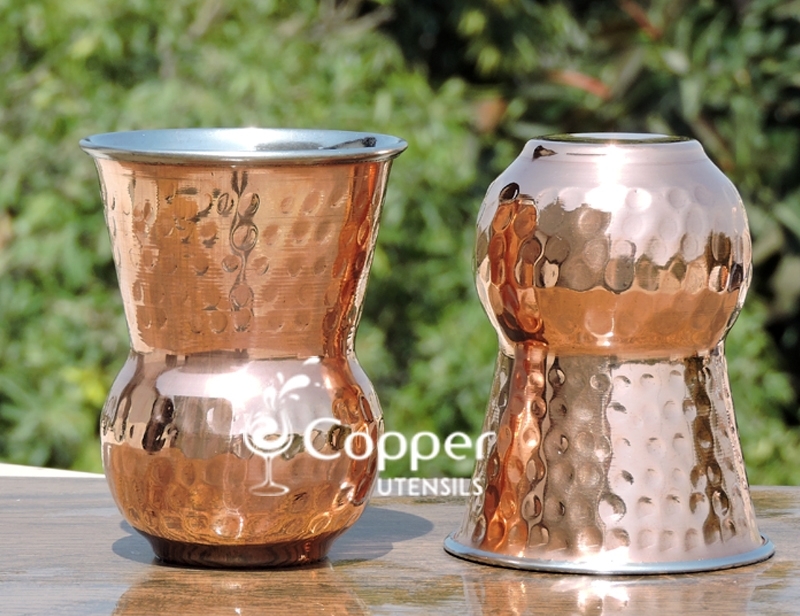 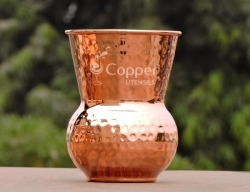 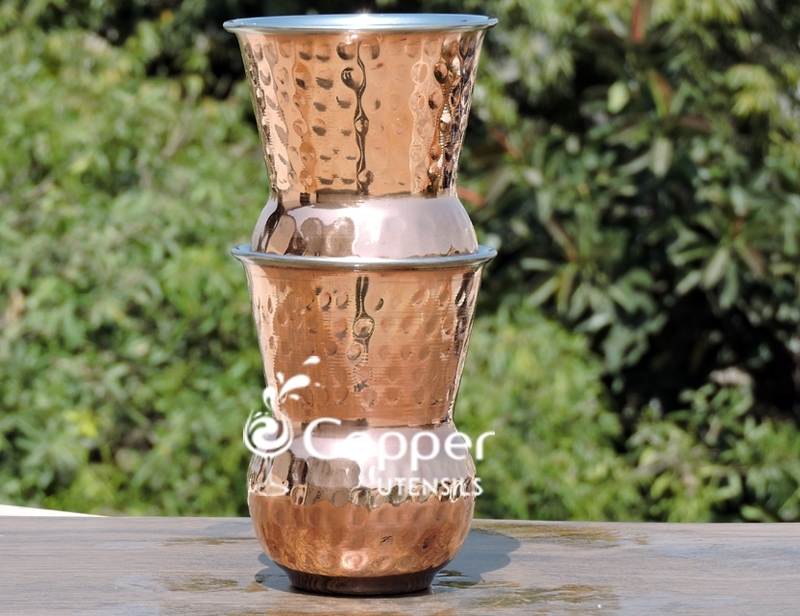 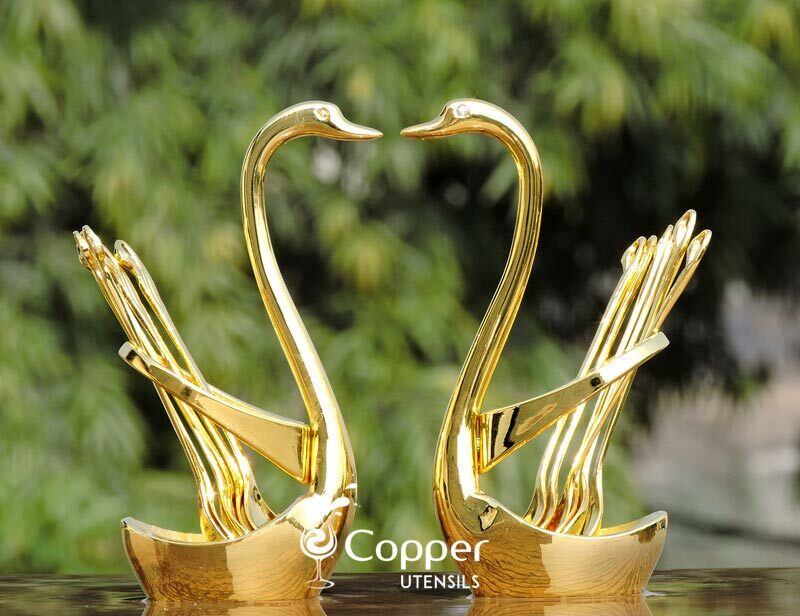 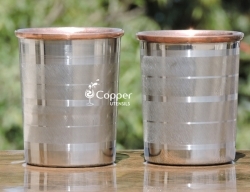 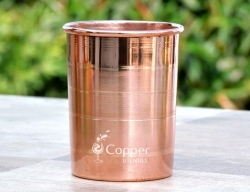 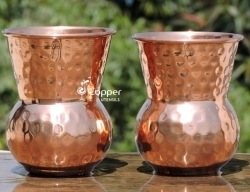 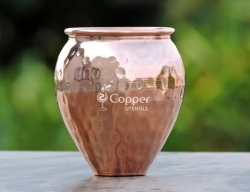 These copper tumblers are the perfect accessory for serving water and cold drinks along with a variety of other beverages. 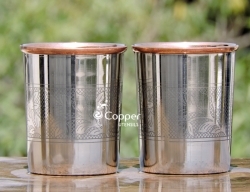 This set comprises of two tumblers of different sizes so that you can choose one according to your need. 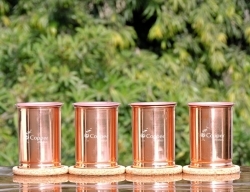 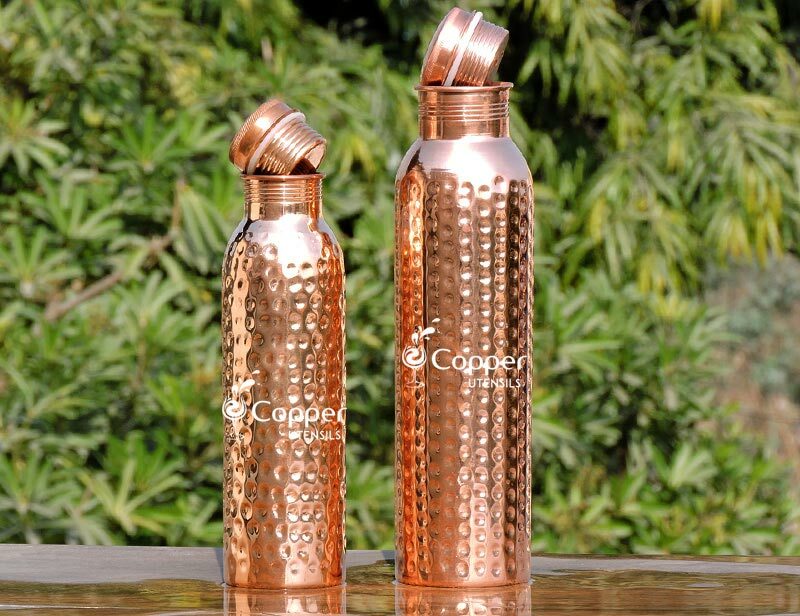 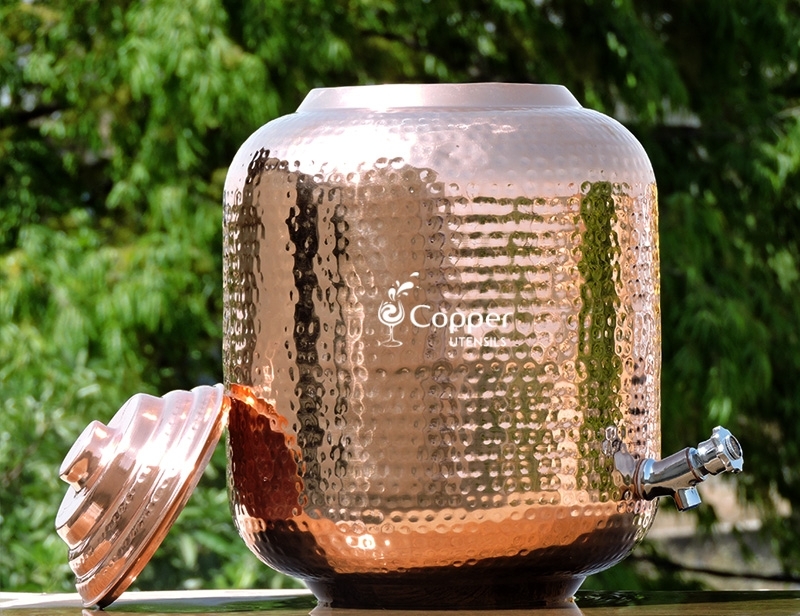 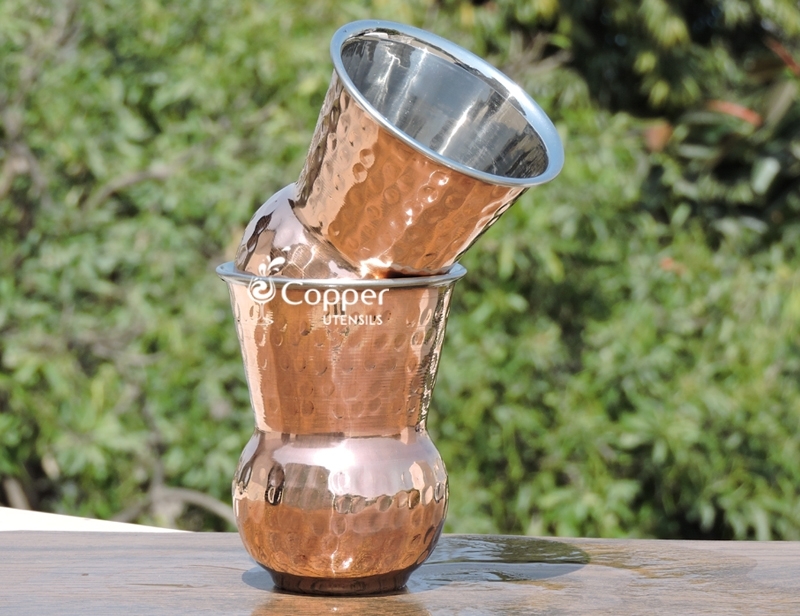 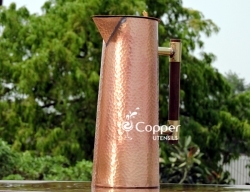 The copper exterior ensures that the drinks stay cold for an extended duration.